When I first came to Japan in 2001, Halloween was not a thing. At all. Well, it was if you were foreigner, but Japanese people just didn’t really get it. Now they do more than ever and are putting their own spin on it. So what happened? 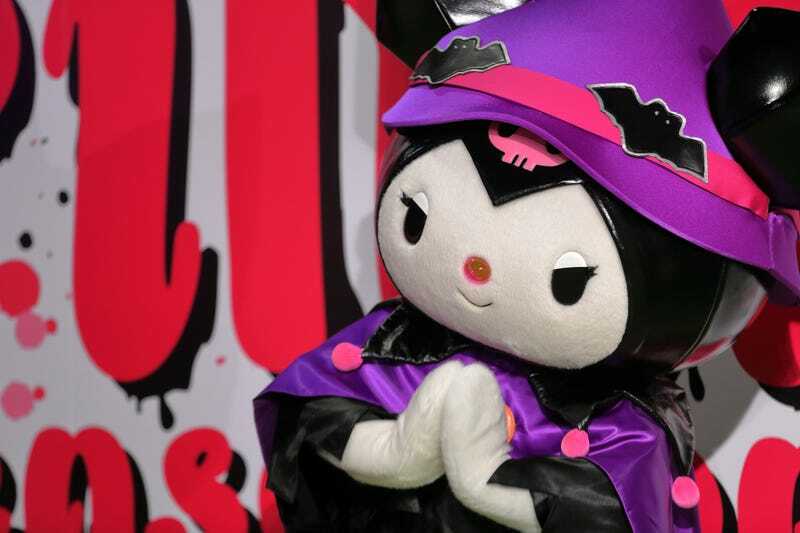 The two things that have really made Halloween in Japan are Tokyo Disneyland and Universal Studios Japan. Tokyo Disneyland held its first Halloween event in 2000, and each year it’s gotten bigger and bigger. Ditto for Universal Studios Japan in Osaka which followed with its own celebrations. Prior to this, Halloween in Japan used to only mean foreigners wearing funny customs in bars and drinking on public transportation. The infamous “Halloween trains” in both Tokyo and Osaka were notorious, with foreigners in costumes taking over trains and turning them into wild parties, disrupting people’s commutes. Even before Halloween caught on, it seemed like it would be a logical fit for Japan, being the country that gave the world cosplay. There isn’t widespread trick-or-treating (and where there is, it can be highly organized), but more and more kids are going to Halloween parties and dressing up. Then there’s an increasing amount of merchandising, which ranges from small pumpkins (normal sized ones are incredibly expensive), cakes, cookies, ice cream, and more. You now see Halloween decorations in stores and even on some TV shows and each year, it’s more and more popular. If you’ve lived in Japan for the past decade, you’ve seen the birth of a new holiday right before your very eyes. But it’s not as simple as Japan importing an American holiday or just playing dress up. Take the colors associated with Halloween. In America, the dominate Halloween colors are orange and black, but green and purple also put in appearances. The same is true for Japan, but purple has a slightly different nuance. The purple in Japanese Halloween does refer to witches or spells, but it also sweet potatoes, which are fall and winter foods in Japan and which can have purple skins. There are also purple yams, which are, well, purple inside and out. That month, there are the Obon holidays, when the spirits of the dead visit household shrines and when families clean the graves of the deceased. (However, these days, some people go on vacation or just relax at home for a “death free” Obon.) Still, the idea of death is tangible as people visit their family graves. Spending time in cemeteries means the spooky notion remains, with people telling scary stories on TV. During the hot, sticky month, people traditionally tell scary tales to send chills down their spines. Yurei, or vengeance spirits, often appear in these stories. Yurei Attack!’s co-author Hiroko Yoda says that the lesson behind yurei is that if you mistreat someone, they will come back to haunt you. “It’s a karmic thing,” she says. Yurei, however, are indiscriminate. Alt calls yurei “spiritual landmines” that are relentless and determined to kill pretty much whomever is in their way, and it doesn’t matter if you are completely innocent or not. The West has a wide variety of ghosts—from terrifying, vengeful ghosts to, well, friendly, cute ghosts. Yurei are not cute. They are not friendly. Because of that, Alt points out, you pretty much never see “Yurei” marketed on toys. Instead, toy companies use “obake” (ghost), which seem softer. What’s more, Obon isn’t marketable in the same way Halloween is and doesn’t exactly inspire a slew of merchandise. In the West, Halloween is closely connected to death, with its roots in festivals of the dead as well as All Saints’ Day. But in Japan, it isn’t seen that way; it’s a holiday imported from America. It doesn’t have the close connection to death like Obon, thus making it somewhat abstract in Japan. That doesn’t mean it cannot be scary in Japan—there is an uptick in the number of haunted houses during the fall and many of them are terrifying. Though, like the Resident Evil attraction now at USJ, they’re not centered around yurei but zombies. There’s still a clear distinction. While the Disney version of Halloween is cute, zombies add the scares for Halloween in Japan, so it’s not uncommon to see groups of young women dressed up in nurse or maid outfits that are “zombied” with the addition of blood or a troupe of young dudes all dressed as Power Rangers. As each new generation of Japanese grows up with Halloween, it will continue to evolve and suit local sensibilities, and it might blur lines between traditional Japanese horror and the newer Halloween traditional. “Everyone loves haunted houses, because they’re fun,” says Alt. “Everyone loves candy and dressing up. Halloween becomes an excuse in Japan to enjoy the spooky season again.” In Japan, Halloween is still a stopgap of sorts, allowing Japanese people the opportunity to enjoy another spooky season, that’s slightly more carefree and fun, instead of tangible death and terrifying yurei.